Can you really be said to have reached a new career-high when you haven’t really had any bad records? 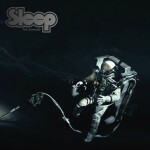 The only real misstep for High on Fire, Matt Pike’s venerable metal trio formed in the wake of Sleep’s initial disbandment, was the production experiment on Snakes for the Divine, but even those songs have more than redeemed themselves in a live context. This riddle is important because the gut sensation is that the past three records—this one included, and all of which were produced by Converge’s guitar wizard Kurt Ballou—represent a new high for the band. The supposed image there is that there is an initial three-record span, charting from their second full-length Surrounded by Thieves up to 2007’s immaculate Death Is This Communion, followed by the somewhat lackluster Snakes for the Divine, leading into this new trio. 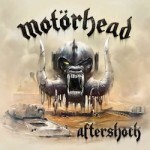 But this thought doesn’t hold; like Motörhead, each record feels largely similar with only slight differentiating details. This is not a critique; also like Motörhead, when you consistently bring metal of this caliber, change is for the weak. 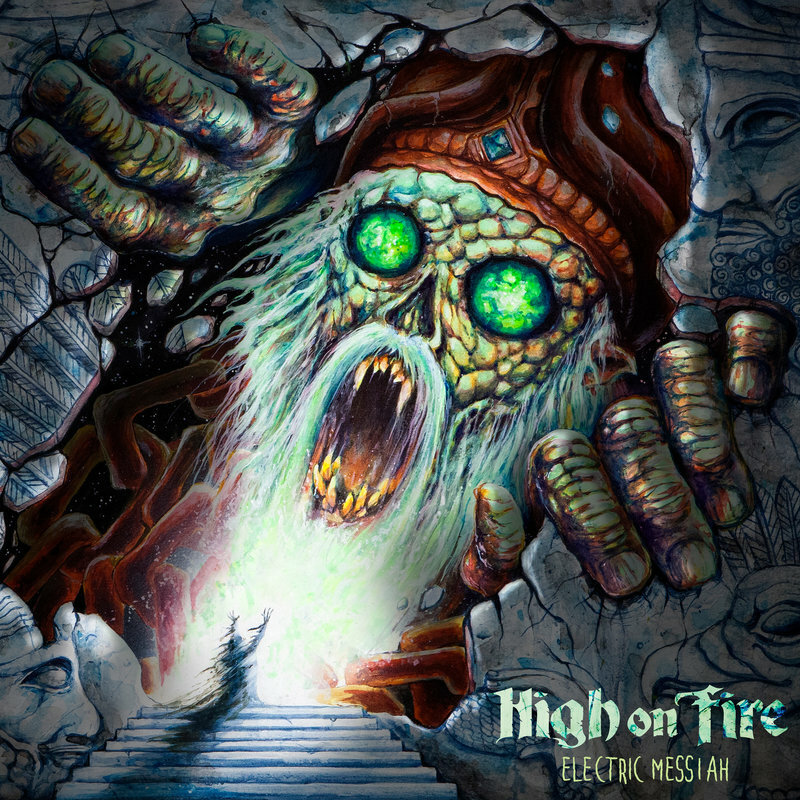 So what we receive on Electric Messiah is less a renovation of sound or divergence but instead, simply, more High on Fire. For fans, this is exactly what is desired, a new mixture of up-tempo hoary thrashers and slow, grinding doom that feels like a woolly mammoth stomping on your skull below jaundiced Babylonian skies. The biggest change is, in many ways, a laying bare of the internal mythology of the group. 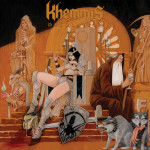 The previous two records were concept albums, with De Vermis Mysteriis being substantially more structured and story-oriented, telling a tale of the vampiric parasite twin of Christ time-travelling to erase his brother (for real), and Luminiferous being all themed around Annunaki shape-shifting lizard people mind-control conspiracy theories that only make sense when you are way, way, way too high. This one, by comparison, is named after a track devoted to a dream Pike had about Lemmy razzing him but ultimately cosigning his influence on the group; if anything, this is the most fitting center of the band’s mythology, which often is cloaked with conspiratorial, historical or fantastical themes, but in truth is devoted simply to a more sword-and-sorcery take on the sonic idea of injecting doom legends Sleep with Motörhead’s whiskey-throated badass biker proto-thrash rock ‘n’ roll rumble. The band stretches out a bit on Electric Messiah. “Steps of the Ziggurat/House of Enlil” is a two-part, nine-minute epic retelling a portion of the Sumerian creation epic, because of course it is, replete with theatrical three-part harmonies of stacked Pike vocal tracks. You’d be hard-pressed to recognize this on the first couple passes, of course, given that ultimately it still sounds like his tuneless but deeply charismatic animal howl, but the detail is there nonetheless. The same caveat can be applied to each of the tracks here, their own little individuating details ultimately subsumed by certain consistencies of the group: the John Bonham-leading-an-orcish-warband drum cavalcade, the fuzzed out and pummeling bass that serves as the glue to the group, guitar that sounds like it’s played by a Neanderthal version of Conan the Barbarian all topped with the vocals discussed before. They are able to get away with such sonic consistency because, at the end of the day, these songs exert a supernatural force compelling you to bang your head, drive your car faster than you should, and buy fantasy replica swords from the internet. There is a guitar solo at the end of the track “Freebooter” that sums up this sentiment well. The track comes near the end of the record, about 40 minutes into the album as a whole. But this time, most listeners would be starting to flag, looking to the tracklist to see how much more was left on the clock before the end to make the determination of whether they see the record out or put a new one on. The guitar solo spikes and bolts like evil lightning, untamed and feral, but delivered with the same larger-than-life stage-owning charismatic power of the guitar heroes of old. This has always been Pike’s secret weapon; he is not only a never-ending font of riffs spanning tempo ranges and varying metal intensities from thrash to sludge to doom to the hairier end of prog, but is also one of the absolute best lead players in the game. Pike is technically proficient, but smart enough to obscure how tricky some of his solos can be behind the ultimate Jimmy Page trick of making sure every solo makes the track feel larger than life, so big it eventually reaches up and consumes your world, sucking you into some fantasy realm where the music is not a song on a stereo but a setting to delusion and chaos. This sense is what animates all great Zeppelin epics, from “Stairway to Heaven” to “Kashmir” to “No Quarter” to “Achilles Last Stand”, and as much as Pike can be noted to be a disciple of Tony Iommi and Lemmy, he is perhaps most indebted to Page. It is that grandiose sense of scale, the use of riffs and solos to create evocative setting, that enables Pike and company to again and again revisit the same spaces but find them seemingly endlessly fertile. Electric Messiah may not change much, if anything, but the magic is still here, and when you push play you will inevitably revert back to being a 17-year old in high school wearing a leather jacket and staring at overpriced imported metal CDs in a dark corner of a Sam Goody, full of joy for heavy metal.